Try our super healthy and flavoursome spin on a Mexican favourite, showcasing Australian produce. Not only will your kids love the flavours but they can be involved in the entire preparation & cooking process! This recipe can easily be made in larger quantities if you wish to feed a crowd. Rub the corn cobs with oil, grill until lightly charred. When cooled, cut the kernels from the cob, 1/4 the cherry tomatoes, and add all the remaining ingredients in a big mixing bowl. Make sure to season with salt and pepper then set aside in the fridge for marinating. This will take a minimum of 10 minutes however the salsa can easily be made the day before. Shred the red and white cabbage finely with a mandolin and place to the side. If you do not have a mandolin slice as finely as possible. Add grape seed oil to a heavy frypan and heat until smoking. 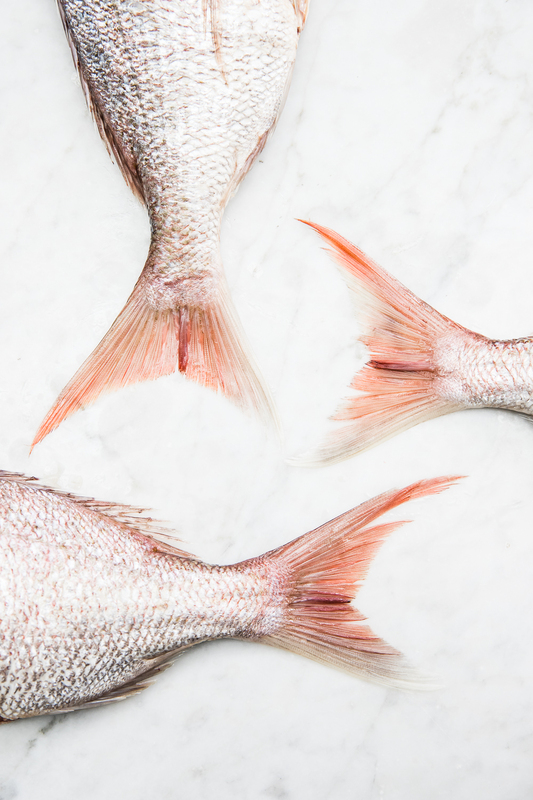 Remove the skin from the barramundi fillet and slice length ways across the fillet into one inch pieces. Season, and sear in the pan 2 minutes on one side and 1 min on the other. Remove to rest. To crisp the removed skin, add a little oil and holding it flat to the pan with a small weight, cook until golden. This adds a lovely texture and crunch to the tacos! This is the fun part! Place your slaw in the base of the taco, follow with your grilled barramundi, add the crema, then top with the salsa. Garnish with fresh lime and coriander leaves. A guaranteed family favourite!